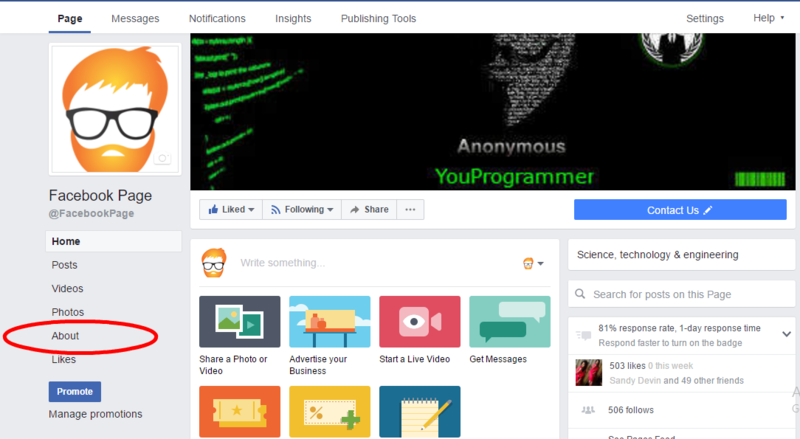 What is Facebook page URL/ Username? 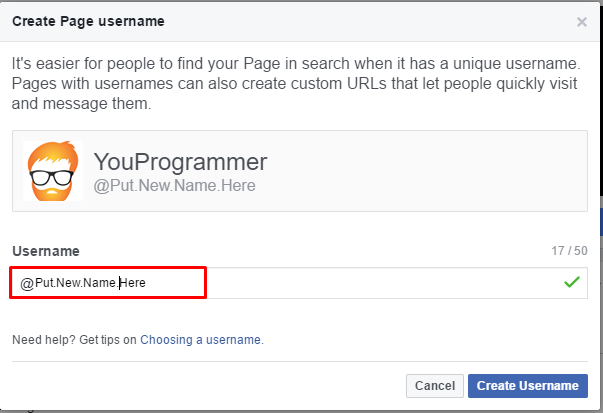 Facebook page URL or username is something that is used for giving an address to your Facebook page. By using Facebook page URL you can access any Facebook page directly. It is a unique address on Facebook that identifies your Facebook page. In the above image the word DeveloperStuff is the Username of the Facebook page and with the facebook.com, this complete URL is known as Facebook page URL. By using this URL you can directly locate and access the Facebook page. 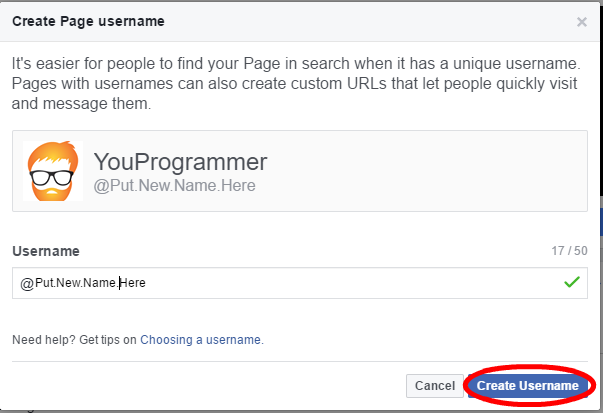 To change your Facebook page URL you must admin account open for that page, without having admin access on that page you can’t go to further steps. So make sure otherwise you will not be seeing these below options on your facebook page to change your facebook page URL. Step 1: Open your Facebook page Using the Admin account of that page. Step 2: Click About on the left side of your page. Step 3: Click on Edit that is placed in front of Username, under the GENERAL section as shown in below image. Step 4: You will see a pop-up box appear in which you will put Facebook page name. It will tell you if the new Username is available or not. Step 5: If the new Username is available then press Create Username. The Username will be instantly changed after following above four steps and then you can use that Username with your facebook.com to make it your Facebook URL. Hope you have Successfully changed your Facebook page Username to make new facebook page URL. If you getting any issue related to this article of Changing Facebook Page URL then you can let us know in the comment section below, we will be happy to help you.